At the time that this vehicular jihad attack happened, Australian authorities said that it was not terrorism. Noori’s saying that he did it in the name of Allah shows how absurd that was. The Islamic State and other jihad groups have been urging Muslims across the world to do this very thing. “The identity of the suspect and motive for the attack have not been confirmed at this time.” Los Angeles authorities can’t be serious. The pair were stepping off a coach in Salalah when they were hit by a car after its 22-year-old unlicenced driver veered into the wrong lane. The car can be seen careering down an alleyway leading to the marquee at the back of Blake’s nightclub in Gravesend, Kent, before bursting into a crowd of revellers. A friend of the Westminster terror suspect described him as a ‘kind, quiet’ and ‘decent’ person who is ‘always smiling’ -and that the car crash outside the Houses of Parliament was an ‘definitely an accident’. North Sudan should be added to President Trump’s travel ban list. And the crackpot “islamophobia” media machine must be dealt with as well. The jihadis are inspired by the Quran and cite it chapter and verse. No one takes issue with that. But when we point that out, we are smeared, defamed and slandered. 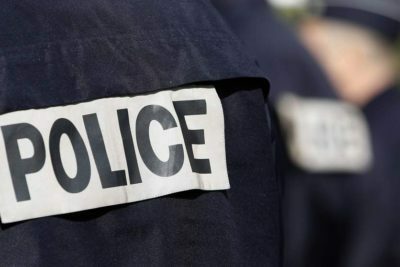 A French police officer in Paris was taken to hospital with serious injuries after an illegal migrant rammed him with his car during a routine police traffic stop. Muslim convert Lewis Ludlow is accused of targeting busy, landmark parts of the capital, including Madame Tussauds. AT least nine people are dead and another 16 injured after a van mounted onto a pavement in Toronto, Canada. Complete media blackout about Johnson being a devout Muslim with ties to radical S. Florida mosques. More than a dozen people were injured last night when a Muslim ploughed his SUV into a busy nightclub. Revellers suffered broken bones after the vehicle was driven on to a dancefloor in a marquee at the venue in Gravesend, Kent, shortly before midnight.